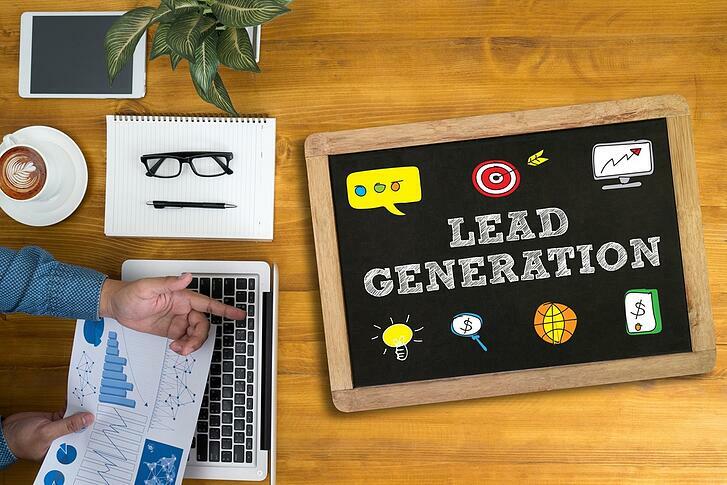 Converting visitors into sales-ready leads requires a multi-pronged approach using different formats across multiple platforms. Marketing efforts aimed at brand building, raising product awareness, gaining trust, and establishing your position as industry experts will generate warm leads. Continue to deliver content that draws interest and provides solutions, and your warm leads will heat up. So, what is this content? As search engine optimization continues to change, it’s vital to consider how you’re creating and positioning your blog content. It’s no longer about simply using high search volume keywords. Through a topic cluster – which means choosing a core topic in your business and selecting 8-20 subtopics using relevant search terms – you’ll attract leads who are looking for specific answers. As an edtech company, you can be sure your prospects are well educated, so you want to provide articles that not only offer a solution to their problem, but answers to specific questions. Include internal hyperlinks to other relevant articles, and ultimately direct visitors to a pillar page with more long-form content. We’ll share more about this in 7. A chatbot offers visitors a way to interact with your company while allowing some anonymity. A visitor to your website may have questions but may not be ready to speak with sales. As helpful as your sales reps may be, many casual browsers balk at the thought of making personal contact, particularly when in the early stages of decision-making. An online chat may be the beginning of a long-term relationship. Tweet out your newest products and any news that is relevant to your market. Follow education leaders to keep track of concerns in the field and develop content to address these concerns. Be sure to use hashtags so that your market can find you. Your industry is made up of professionals. A LinkedIn marketing campaign may be one of the best ways edtech companies have to identify prospects. Facebook is less formal but allows you to use great visuals of your product in action that will attract interest. Facebook is also a good place to post shareable images and short videos. Brainstorm topics in your area of expertise that could be illuminated with a video presentation. Aim to educate, not sell. Consumers get enough commercials when they watch TV. Explainer videos break down complex subjects or industry news into easily understood bites. For example, if you sell school administration software, you may want to target your market with a video that explains changes to the state’s teacher evaluation metrics. Podcasts appeal to professionals who want a hands-free way to stay current with the industry or learn something new. Create a podcast series that addresses challenges or discusses changes in your segment of the edtech marketplace. Podcasts may include interviews with experts, educator profiles, and previews of the latest innovations in educational technology. Offer free training, insights into new technology and strategies aimed at education professionals. Include a slide deck for downloading to increase the chances that your webinar, or portions of it, will be shared. A pillar page is long-form content surrounding a core topic that’s relevant to your products or services. As we mentioned earlier, by developing several blog posts based on subtopics that your audience is interested in, you’ll ultimately have the content needed to build a pillar page that’s educational and interesting. While pillar pages are not gated, you can offer visitors a PDF to download – allowing you to generate leads. Establish relationships with the education reporters at news outlets and offer interviews, insights and reactions to current events affecting education. Identify prominent blogs in your field and offer to guest post. Sign up as a source on HARO (an acronym for Help a Reporter Out.) HARO has become the go-to place for journalists seeking expert interviews. A successful pitch to a HARO reporter will get you a backlink that will bring in leads. Prospects interact with your business at different stages of the marketing funnel. They land on your website with different levels of interest. Your digital marketing strategy needs a way to recognize this and offer visitors appropriate content that meets their current needs. Some prospects may be curious about your product, but not yet serious about buying; others may be ready to speak with your sales department. A page-hijacking form demanding an email address, phone number and “best time to call” will have the mildly interested visitor exiting out of your website. Alternately, if a contact has subscribed to your newsletter, downloaded your marketing collateral and inquired about pricing via your chatbot, that contact is at the bottom of the funnel and it is time to pass the lead to a sales rep. An automated marketing platform will place a score on each action a lead takes and shift the lead to your CRM software when a tipping point has been reached. Delivering the right content at the right time to the right person is key to generating leads and turning those leads into sales. 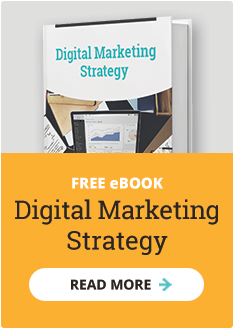 A comprehensive digital marketing strategy and a system to collect and qualify data will turn your web presence into a lead-generating machine. Contact Spot On to get started with developing your digital strategy.